Have you ever been somewhere and needed to take the edge off for a couple of seconds!? Well Here is your answer it’s called the WA|HH Quantum Sensations and it will get you drunk for a few seconds and then leave you clear headed. Two American scientists have designed a small spray that gives you that instant drunk sensation from less than a drop of alcohol. The makers of Wahh Quantum Sensations claim, however, that the "harm" is limited, because you sober up equally rapidly. But however quickly people might recover, drunkenness can lead to accidents - and it’s also unclear how the device could be misused by alcoholics. The feeling lasts just seconds - but when it fades, you are sober and able to carry on with your day. 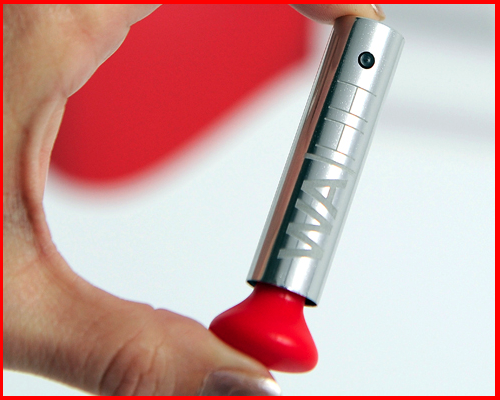 The ‘Wahh Quantum Sensations’ delivers just a miniscule dose of alcohol - 0.075ml - directly in to your mouth, but thanks to the aerosol effect, the effect is instantaneous. French designer Philippe Starck and Franco-American scientist David Edwards say the advantage is to enjoy the drunk sensation with none of the harmful effects of alcohol on the body. The spray was unveiled in Paris on Wednesday. "The question is how to do good without doing harm. Wahh is an alternative that offers the idea of intoxication without its adverse effects," the Daily Mail quoted Starck as saying. The product is about to go on sale in Europe for 20 Euros, with each capsule offering 21 "shots". UK distribution plans have not been unveiled yet.